Christian higher education seeks to bring people into vibrant relationship with God and help them fulfill their human potential. The chief end of humanity, according to the Westminster Shorter Catechism, is “to know God and enjoy him forever,” and that’s what I live for – to know God, and to give other people the pleasure of knowing God in the fullness of human experience. I enjoy writing about spiritual themes and how they fit into life and society. 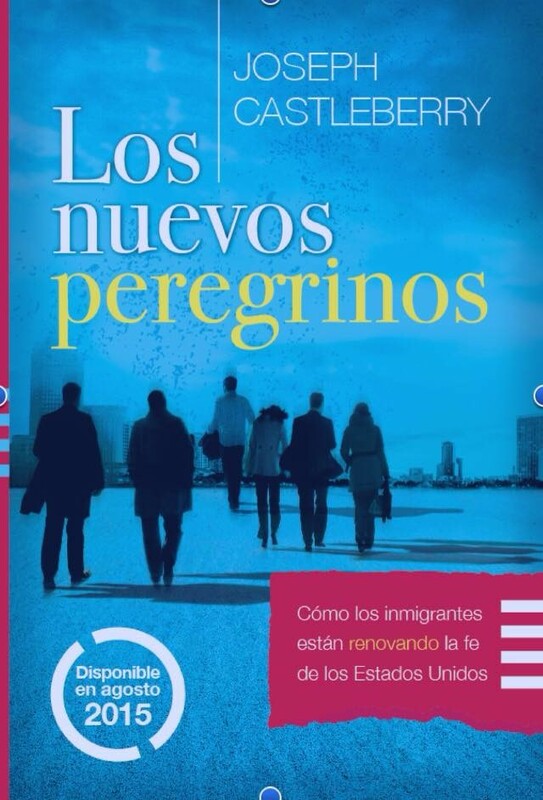 My newest book is The New Pilgrims: How Immigrants are Renewing America’s Faith (forthcoming, August 2015: Worthy Publishing in English and Spanish). I am also the author of The Kingdom Net: Learning to Network Like Jesus (My Healthy Church, 2013) and Your Deepest Dream, (NavPress, 2012) and I blog in English and Spanish at www.josephcastleberry.com and www.inmigrantesdedios.org. A native of Alabama, I came to the Pacific Northwest after a transcultural career that took my family to New Jersey, New York City, Texas, Costa Rica, El Salvador, Ecuador, and Missouri before our soft landing on the banks of Lake Washington. Sensing a dual call early in life to church ministry and higher education, I began professional ministry as a youth pastor in Princeton, N.J. For three years I was a chaplain at Princeton University, before beginning 20 years of missionary service in Latin America. After three years as a university professor and pastor in El Salvador, Central America, I became Associate Dean for Latin America at Global University in Texas. I later went on to serve as a pastor, seminary dean, and community development leader in Ecuador. Returning to the United States in 2002, I was Academic Dean of the Assemblies of God Theological Seminary until my election as President at NU in 2007. I have enjoyed over 30 years of happy marriage with my wife Kathleen, and we are the proud parents of three daughters (Jessica Austin, Jodie Valdez, and Sophie Castleberry) and two sons-in-law (Nathan Austin and Roberto Valdez). Thanks for plowing through to the end of my story. Please feel free to connect with me if I can serve you by friending me on Facebook and follow me on Twitter. To book appointments, contact my executive assistant, Ashley Monroy (ashley.monroy@northwestu.edu). She won’t let me book them directly.